In the week of Roger Ebert’s death last week, there have been so many great pieces written by film critics and movie fans about his inspiring work. It seems unnecessary to add yet another voice to the chorus of acclaim for the fallen critic. What more can I say than what’s already been presented by others? There are countless personal experiences of meeting with Ebert in person or online. I have nothing so profound or interesting. In fact, there have even been more successful attempts at this type of introduction. I could easily ramble for several thousand words about Ebert’s importance to film culture and passionate writers that adore the medium. Instead, using the Top 5 List format seems appropriate given the attention on Ebert’s year-end lists. I’ve called our five reasons for why he’s been so influential on my experience in becoming a movie lover. This is hardly a comprehensive list and merely scratches the surface of his impact on the film community. A big challenge for any film lover is catching up with the hordes of classics from around the world. How do we pare them down to the most essential choices? Ebert's Great Movies series provides a guide for cinephiles trying to expand their horizons. Beyond this valuable service, he also gives an extended review of each selection. Back in 2006, I embarked on the daring venture of checking out all the movies from Ebert’s first Great Movies book that I hadn’t yet seen. I wrote a post about each one for my brother’s website. My writing wasn’t great, but the experience of checking out so many remarkable films was amazing. Ebert’s choices include thrilling commercial fare like Raiders of the Lost Ark alongside art films like Persona and L’Avventura. He strikes a cool balance and includes few clunkers in the list. Ebert's large audience has given him the opportunity to spotlight films that haven't grabbed a huge audience. A great example is a movie like 1998's Dark City, the brilliant mix of noir and sci-fi from Alex Proyas. Ebert named it as his #1 film of that year, and he contributed an excellent commentary for the DVD release. His annual film festival in Champaign has become a huge success. Now known as Ebertfest, it began as Roger Ebert's Overlooked Film Festival 15 years ago. I definitely need to make the short drive and check out this festival in the near future. This year's slate includes remarkable pictures like Oslo, August 31st; Bernie; and Days of Heaven. It will also screen the Disney World satire Escape From Tomorrow, which made waves at Sundance earlier this year. This festival is a perfect example of how Ebert went beyond reviewing the latest movies each week. 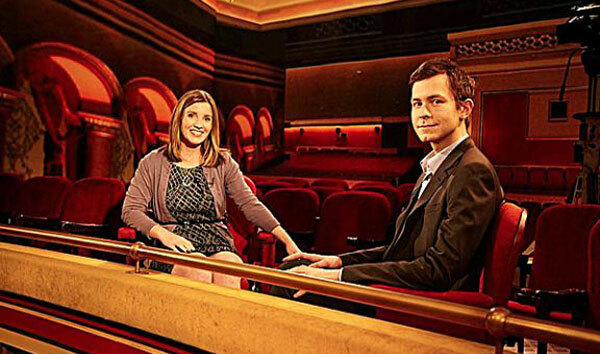 It's impossible to comprehend how the world of film criticism would look without the rise of Siskel and Ebert. At the Movies started as a small-scale production and eventually made them household names around the world. There's an intriguing back-and-forth conversation between Ebert and Richard Corliss that discusses whether their "thumbs up/thumbs down" approach was good for movies. 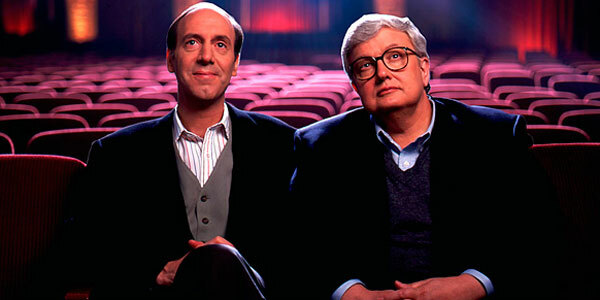 Both make good points, but it's tough to disagree with the idea that Siskel and Ebert changed the world for the better. Their arguments (especially in the outtakes) became legendary, and these conversations change the way that many of us thought about movies. Their discussions were intelligent, yet we rarely felt like they were talking down to us. That's a very difficult combination, especially in a realm like film culture. Following Ebert's death, it felt like nearly every blogger that I follow wrote a heartfelt piece about his effect on their life. These weren't the typical news items delivered out of necessity for an influential artist. Instead, the writers gave personal accounts for how Ebert had changed their lives. This wonderful essay from Ryan McNeil at The Matinee is just one of so many excellent posts. 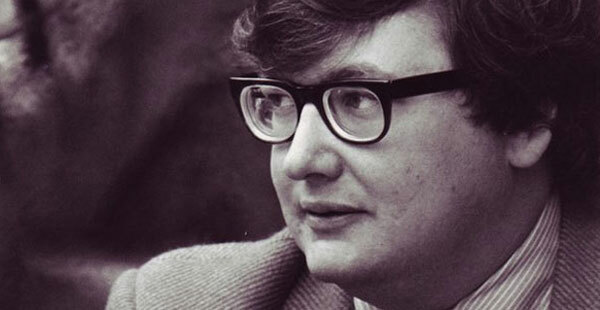 Along with serving as a model for so many young film critics, Ebert gave opportunities to plenty of new voices. His far-flung correspondents on his site were hardly household names. The recent PBS incarnation of Ebert Presents at the Movies had young Ignatiy Vishnevetsky as a co-host, and he was hardly a household name. Ebert also hired Matt Singer, Kartina Richardson, Kim Morgan, and others to complement the well-known contributors on the show. While other established critics rejected bloggers as sub-standard amateurs, he embraced them as part of an inclusive community. 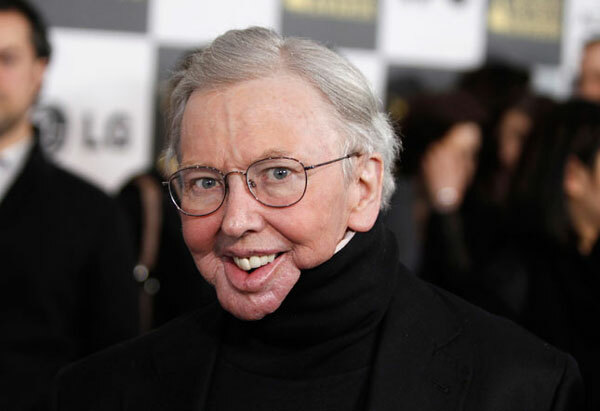 During his later years, Ebert battled devastating illnesses and underwent multiple surgeries. Complications with these operations cost him the use of his jaw and his voice. Instead of fading into the background, he remained front and center despite his very different appearance. After reading his autobiography Life Itself a few years ago, my admiration for him grew well beyond his film criticism. He’s also spoken out on politics and social issues and always has plenty of support behind his views. He contradicts the idea of film experts as isolationists separated from the world. His blog posts have covered a wide spectrum of topics and are written with the same skill as his movie reviews. Ebert made the most of his life right up to the end and never let his challenges define him. He kept writing all the way to the end and delivered a legacy that goes well beyond his work in the film world. I agree with every word. Ebert was and continues to be an inspiration. Right or wrong (1 1/2 stars for The Usual Suspects? ), the man was passionate. You can disagree with passion, but it's really hard to fault it. He truly loved what he did because he truly loved film. I think he'd have genuinely done it for free. Steve, I'm glad to hear that you enjoyed it. I hadn't planned on writing anything because it didn't feel like it would do justice to him. Also, there have been so many heartfelt posts from other bloggers that it felt a bit like I was just joining the chorus. I ended up changing my mind and decided to give it a shot. I totally agree about the passion. I haven't always agreed with Ebert, but I feel like his opinions are well-considered and have support. You're too kind to link to that post of mine sir. Thanks very much. No problem, Ryan! Nice work! Great post. I'm not sure if there can be too many voices on this. Ebert was a fantastic writer. I read an excerpt from Life Itself about his feelings towards his wife and it was one of the most beautiful pieces I've read about love. He totally lived the dream/created the dream for movie lovers like ourselves. Thanks Jess! Life Itself is so well-written and has a ton of great material, including that part that you mention. The way that Ebert brought movie criticism to the masses while still having plenty to say is such an achievement. That is a great piece man. Ebert was more than just a film critic and a film lover but a really cool dude who will be missed. Thanks! I totally agree and it won't be the same without him. I'm with you 100% on this. Really a great piece here, Dan. I think my respect for Ebert lies chiefly in the Spotlighting Overlooked Films category. When he loved a film, he championed the hell out of it, and used his influence to help it find an audience. I respect the hell out of that. I also like that although he hated many films, he never harped on them. He wrote his negative review and moved on. But that greats... he really stuck with those. Alex, I'm glad you enjoyed the post. His focus on spotlighting overlooked films was definitely one of his biggest influences. Looking through his Great Movies books, there are plenty of films in there that are hardly universally acclaimed. Thanks! Excellent piece, Dan. I always associated Ebert with the term "film critic". It's great to see the widespread influence he had, and he'll be missed. Josh, I agree that it's hard to not identify Roger Ebert as the "film critic". There are other writers who are on his level, but he's found a way to speak to the masses in a different way through multiple mediums. Enjoyed the article. On that point, if you have not yet heard it, I have to highly recommend NPR Fresh Air's Terry Gross's 48-minute compilation on Roger Ebert - http://www.npr.org/templates/rundowns/rundown.php?prgId=13&prgDate=4-5-2013. It's good stuff I think you will like. Steven, I haven't caught up with Terry Gross compilation, but I'll definitely give it a listen this week. Thanks for the recommendation! Great post, Dan. I have been slowly working my way through Roger's Great Movies collection, and I have fallen in love with nearly all of the films I have seen. It's sad to think we won't have any more entries in it, but at least we have 400+ to choose from. Eric, it's cool that you're also working through the Great Movies. I've also picked up the second and third volumes of the books, and there are a ton that I need to see. Plus, I know he kept writing them and did even more. There are a few that aren't as thrilling, but even those are worth seeing. Thanks!